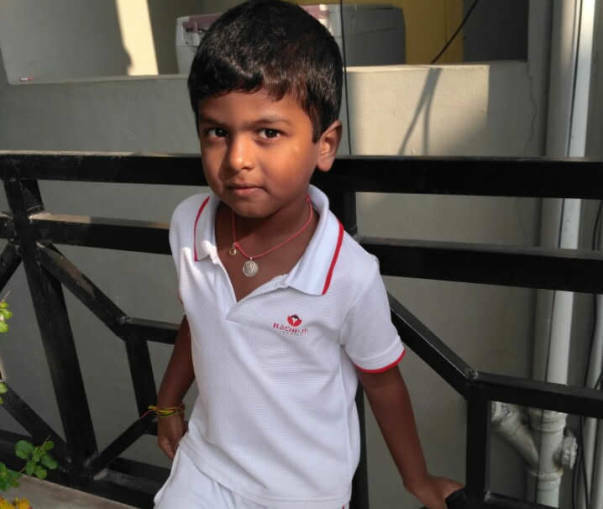 For the last few months, 4-year-old Pradyuman has been struggling with a severe stomach disease called Midgut Volvulus. Midgut volvulus is a condition in which the intestine has become twisted and it severely affects the bowel movements. Symptoms are severe stomach cramps and pain, vomiting and blood in the stools. If not treated at the earliest, it can become very critical. "It was Sunday night and Pradyuman had just finished his meal. He started complaining of a terrible stomach pain. He was crying and it was followed by a lot of vomiting and diarrhoea. His body looked like he was having seizures and we took him to a hospital when even painkillers did not ease his condition." Pradyuman has been suffering and his parents cannot see their son in this state any further. He has been instantly advised to undergo treatment and management of the condition. 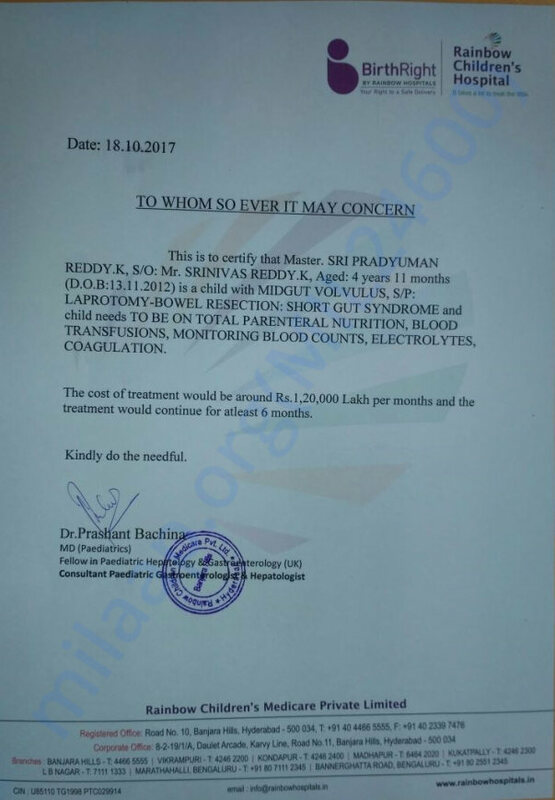 He needs to undergo a nutritional form of treatment for the next 6 months and the cost of that amounts to around 120000 INR per month. Pradyuman used to ask for food all the time at first, but now he has stopped. "We have started to hate eating. Every meal is a cruel reminder of how much our son is suffering and how close he is to death. We are holding on to the belief that he will heal and get better. I only need to make sure he gets his nutritional fluids for the next 6 months – so his intestines can recover." 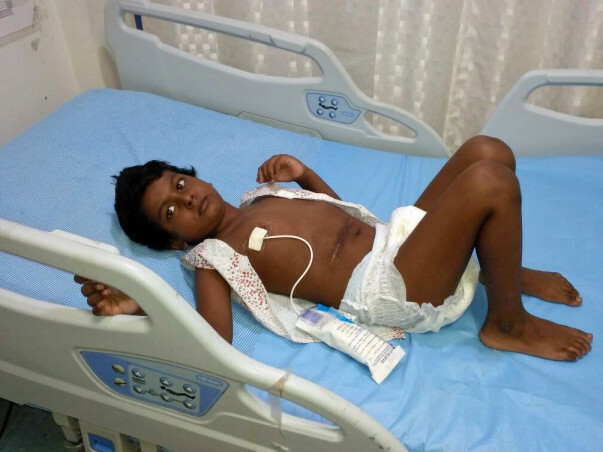 Your contribution can save Pradyuman's life and give him the treatment he deserves. Pradyuman underwent a surgery on Friday, 1st June. The surgery was performed to remove the intestinal blockage and blood clots. He was admitted in the hospital because of continuous vomiting on 23rd May, since then he was in hospital. As of now, he is conscious and he is under TPN. The movements are less but the doctors have indicated that he may get discharged soon. His family is extremely thankful to each one of you for the love and support which you have shown towards him. We shall keep you all posted. Pradyuman is currently at home, he was admitted in hospital last week because of severe fever and loss in platelet count. As of now, he's on antibiotics and TPN. All the vitamins are being given to him orally, his intestines are weak in absorbing vitamins and minerals from the food and he ends up vomiting sometimes. Doctors have suggested that he will remain on TPN for few more days before they can decide a future course of action. He's stable now but wishes to be a normal kid again. We sincerely thank you all for the love and support which you have shown towards him but we still need your support. It's a long road ahead of us, please share this campaign with your family and friends. Here is an update on Pradyuman. Currently, he is being treated at home. 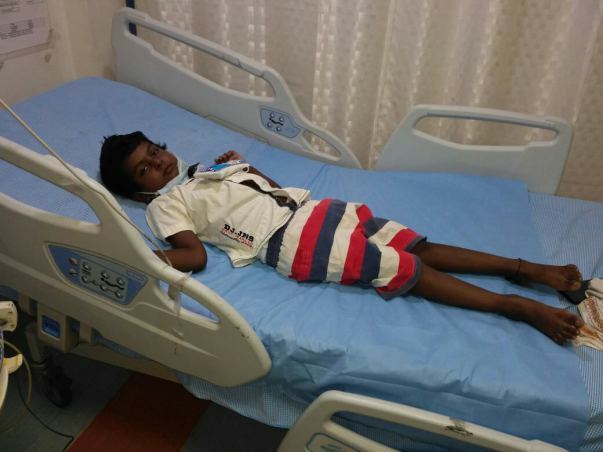 Last month, he had severe jaundice which affected his health badly, he is still not fully recovered. He is on the liquid or semi-solid diet as his digestion capacity is very poor due to his damaged intestines. 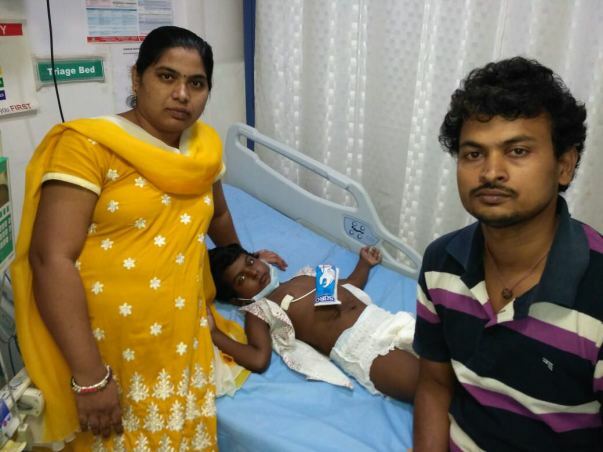 He has to visit hospital once in two weeks for follow-ups. Doctors are of the opinion that the treatment will go for next 3-6 weeks. Thank you so much for your love and support. We are really grateful to all those who came up and helped us in the time of need. Please pray for our baby and his speedy recovery.